The story of Berner started in the 1880s, when the young Norwegian Sören Berner arrived in Helsinki in order to chart the markets in this town of 40,000. He decided to start business operations in Finland by importing herring directly to Helsinki from the fishing port in Stavanger. As trading activity increased, Berner added other fish products to his wholesale trade range. The first wheat flour deliveries from America led to agency sales. In addition to salt, rye, barley, and fish products, Berner began to import rarer delicacies such as marzipan, liquorice, raisins, and coffee. As agriculture developed further, Berner started importing products such as fertilisers. His company was the first to provide Finns with crop protection substances, in the 1930s. The effects of wartime rationing were visible in Finland for a long time. Berner met the increasing demand by importing potato flour, corn flour, glycerine, and canned meats. The company expanded its operations to veterinary medicine and, further, to cover hospital and laboratory equipment in the decades that followed. In the 1950s, the post-war reconstruction years saw Berner develop its first relationships as a cosmetics representative. In-house manufacture began in the technochemical factory, and with the car imports of the 1960s, the product range expanded to include not just hair care but car care products. In the 1970s, Berner responded to the increasing demand for leisure goods by establishing a sport division. In the same decade, a foodstuffs department and forklift truck department were founded. In the 1980s, Berner began its operations in the institutional kitchen cleaning sector and continued to invest in the hospital equipment business. In the 1990s, the company’s acquisition of technochemical operations from Alko Ltd (for example, Lasol) and Sareko Agro Oy helped Berner to become a leading company in Finland in the crop protection field. The 1990s also saw Berner purchase the operations and facilities of Bergenheim Yhtiöt (Instrumentarium). By the end of the century, the subsidiary Berner Eesti Oü had been founded in Estonia, and later operations expanded into Lithuania and Latvia. 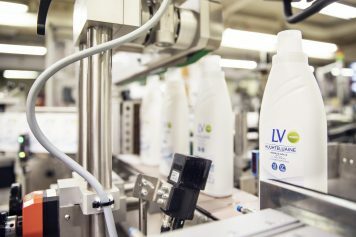 In the early 2000s, a new, modern technochemical plant was purchased in Heinävesi, and all operations at the Herttoniemi plant were transferred there (for items such as water-based hygiene products). In addition, Berner acquired a Swedish wholesaler of crop protection substances, Gullviks, which was later merged with Bröderna Berner Handels AB. Other significant corporate acquisitions in the 2000s include Nokian Footwear, LV products for sensitive skin, the Herbina hygiene series, Rajamäen vinegar-business operations, and GrowHow business operations. In 2008, Berner decided to concentrate all logistics functions in a single modern logistics centre in Viinikkala, Vantaa. This centre opened on14 January 2009. From 1987 to 2013 the company’s managing director was George Berner, a great-grandson of founder Sören Berner. Since George Berner retired in September 2013 a new managing director, Antti Korpiniemi was appointed. Antti Korpiniemi (b. 1961), MS Agriculture and Forestry, BS Argiculture, EMBA, was formerly Director for Plant Protection and Garden Care -business division. The Second Decade of the 21st Century has been active in acquisition of new businesses. In 2014 Berner acquires the Lithuanian UAB Kruzas Nordic Cosmetics Distribution. This deal makes Berner one of the leading cosmetics importers and distributors in the Baltic countries. Manufacturing in Rajamäki ends, and Minister of Labor Lauri Ihalainen inaugurates the new production plants in Heinävesi. The Farmer’s Berner business is expanded to direct sales and e-commerce in 2015. In the autumn, Berner agrees on an acquisitions with HL-Vihannes Oy and Neuvox Oy, which specializes in the Russian chemical export and import business. Berner also expands its brand portfolio in the Baltic countries. The decade continues with renewal measures in production and expansion of business operations. 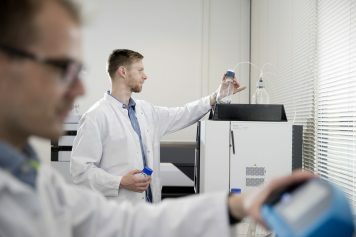 Berner acquires the business operations of Ordior Ltd, a company specializing in the sales and import of laboratory equipment in Finland and Estonia, which was previously part of the University Pharmacy Group. The company carries out development projects and investments at our production facilities in Heinävesi to increase production efficiency and reduce environmental impact. Year 2017 marks a new beginning in our new head office. Berner’s new and modern premises open in Herttoniemi, Helsinki. The year was filled with celebrations of the new home as well as the centenary of Finland’s independence with Berner’s own “A Hundred Gifts” campaign. In late 2017 Berner acquires the business operations of Make-Trade Ltd, a Finnish importer and distributor of consumer goods. The company’s brand portfolio is strengthened with new well-known brands, such as BIC.